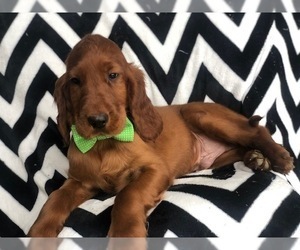 The Irish setter is a perfect mix of Beauty, curiosity, loyalty, with just enough attitude to be fun. Both parents are our family pets. 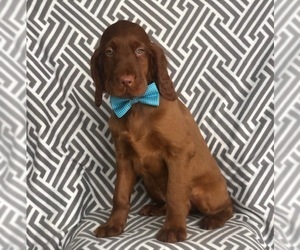 1 boy available. We require a $200 deposit and remainder on pickup. Can ship pups. Purchaser to reimburse shipping expenses. 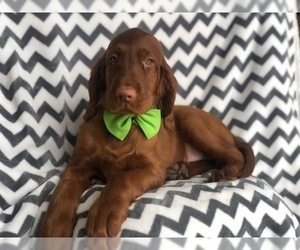 There are two types of Irish setter. The show type and the more sleek field type. These are the latter. The puppies in this litter are from AKC Registered parents and can also be registered with the AKC. 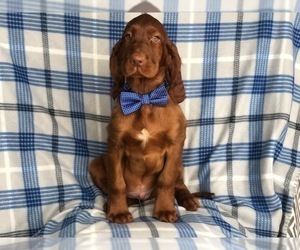 Full AKC registration for an additional $100. 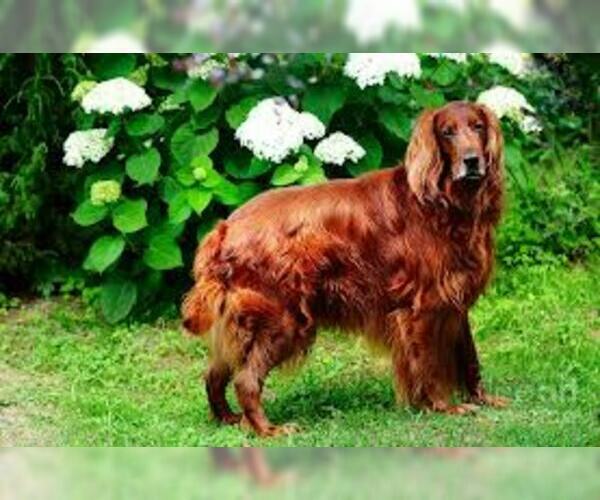 Make sure to do research on this breed, and how it might fit your lifestyle. Not recommended as an apartment pet. Needs much exercise and time outside. Items Included: All vaccines will be per AKC recommended schedule. Beautiful boy. Mahogany in color. No white. Beautiful Girl. Mahogany in color. No white.